"Nobody. Move," breaths Bina, holding herself very still, her entire body rigid with tension. Outside, the second naught, the one that looks like two people fused together at the hips, clings to the outside of the balcony like a spider. It's pointless, there's no way it will pass by them, but for a second, a heartbeat, Bina hopes. It's Amie who moves, the younger one. Bina can't blame her. The first time you see a naught it's like a kick in the teeth. Seeing and talking to an older version of yourself? That's one thing, but monsters? That reconfigures your whole world-view. Bina's still not sure she's come to terms with it, even now, and she's been doing it for what feels like roughly ten thousand years. Amie-Five doesn't scream, which is a considerable feat, but she does flinch back against the couch with a gasp. Seemingly in response, the naught bunches it's spindly legs, little more than bones covered in dried muscle, against the metal frame of the balcony railing and hurls itself through the door. Not through the doorway, through the door itself, naughts are nothing if not a little extra in everything they do. It hurtles through the double-paned window, spraying a corona of glass splinters in front of it. Kendra, who had been diving forwards, probably to grab the lamp, cries out as the glass hits her. Bina tears her eyes away, diving for her coat. Regardless of what happens next, they need that lego. She hits the door to the closet, nearly falls, but recovers her balance. She fumbles against the slippery lining of her coat for the inside pocket, the place she stashed the most important things, her fingers feel like thick, cold, useless sausages. Behind her, unseen, Emmie shouts, and there's a sound of something cracking, then scrabbling and both Amie's start yelling. Bina's clammy fingers find the edge of the pocket and wriggle inside. 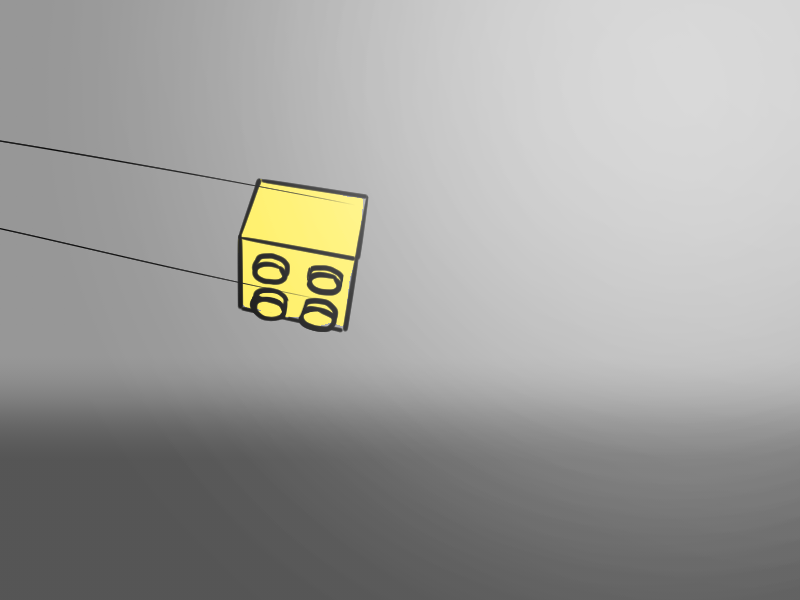 She feels the smooth plastic surface of the little yellow block against her fingers and grabs it. Leaving the coat on the hanger she turns back to the room. The cracking noise must have been their cheap, Ikea lamp, the one by the window that Kendra was trying to grab. The remains of it tangle around the front legs of the naught. Kendra, bleeding from half a dozen cuts across her arms and shoulders, plants one of the couch cushions into the front stomach of the naught and pushes, trying to shove it back through the door. It's not very heavy, this naught is dry and skeletal, despite it's awkward fusion, but it's thin arms are everywhere, two of them grab the frame of the door, stopping Kendra from levering it outside, the others, long and oddly jointed, wriggle towards Emmie as he scrabbles across the floor. Bina follows his gaze to where the Not-Yet lays, sideways, on the floor. It's practically all the way across the room, the barrel of it, with it's two little prongs, resting against the baseboards of the far wall. The naught must have knocked it out of his hands when he tried to jab it. A bony hand clamps around his leg, then another. Emmie falls, heavily, onto his stomach as the thing yanks him back, tearing him off his feat. With her bad legs, Bina knows there's no way she can get there in time, but the Amie's can, they're closer. "Amie! Grab it! Now!" To Amie's considerable credit, both Amie's respond at the same moment, and the combined weight of Kendra and two angry Amie's bear the creature, thrashing, to the floor, half-in and half-out of the room. It's hands jerk free of Emmie's foot and he lunges forward, managing to grabs the long barrel of the Not-Yet in one desperate hand. Nine could have made the damned thing shorter, Bina thinks, as he struggles against the length of it, to turn it around and bring it to bare. "We might just pull this off!" thinks Bina when, being closest to the door, Bina is the only one to hear the sound of those great padding feet as the naught in the hallway turns around and begins to rush back to the apartment. Bina manages only two stumbling steps before the door to the apartment explodes behind her. One of the the hinges wings past her, passing close enough by her neck to make her hair whiff forward into her mouth and face. She staggers, her left knee, the bad one, giving out. 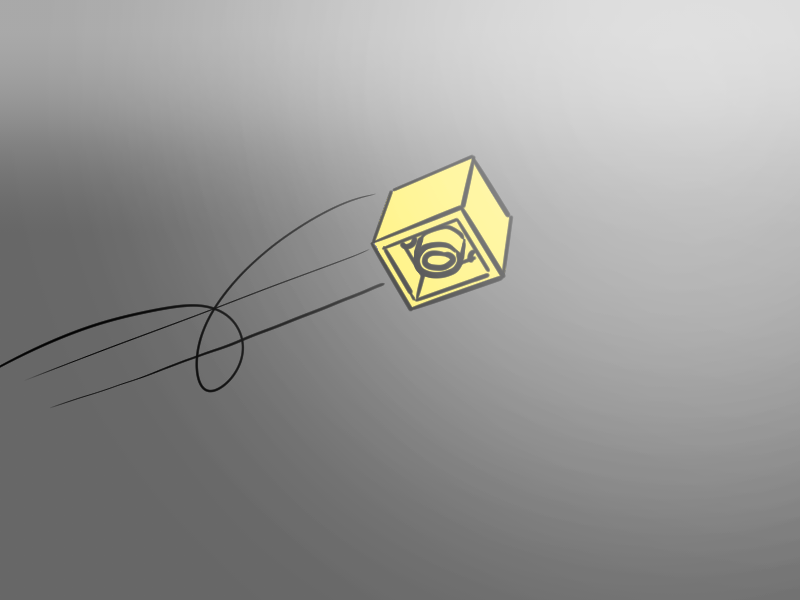 Falling, she see's Emmie manage to wrangle the Not-Yet around far enough to jab the spider-naught in the side. It hadn't unfolded yet, possibly unable to get a good enough grip on any of it's three assailants, and remains resolutely solid as it vanishes in a crack of green light. Kendra and Amie's tumble to the floor. Behind her, the multi-headed naught doesn't pause even for an instant after destroying the door. It's hands crunch into the wrecked frame as it levers itself through an opening far too small for it. Drywall cracks. Metal squeals. "Kendra!" 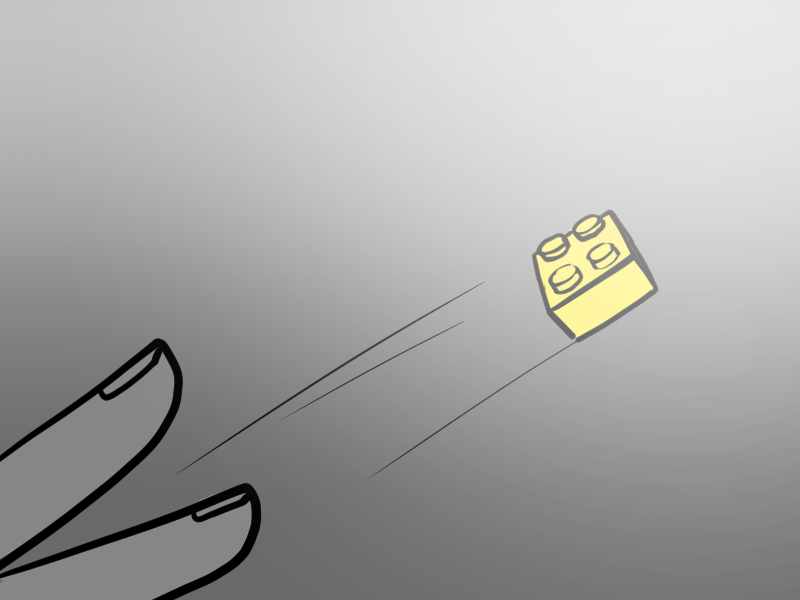 yells Bina, and throws the lego piece as the floor rushes up towards her. It's a stupid idea, a terrible idea. The door has been smashed to splinters, there's glass everywhere and Kendra is laying on her side, one arm trapped under the pillow she had used to avoid contact with the naught. One Amie, the younger Amie, has a leg draped over Kendra's shoulders, and the thing she's throwing is a lego piece, not the most aerodynamic of forms. To make things worse, she's falling when she throws it. It should have fallen short, bounced off a wall, or gone right out the door and off the balcony, lost forever. That's what should have happened. This was not a throw that should ever have been caught. But catch it Kendra does, in one hand, and, with the other, grabs the leg that Amie-Five is dangling over her shoulder and slams that bare foot down on the lego in one smooth, fluid, movement. The other Amie, her Amie, relieved of her double's weight on her back, looks up towards Bina and screams "Look out!" Bina doesn't, there'd be no point. Even healthy there's no way she could outrun a naught, not at this range, not flat on her face like she is, especially not one that's nearly ten feet tall. Instead, still face down on the slats of the hardwood floor, she grabs the edge of the scarf, wrapped around her right hand in her teeth, and pulls it free.